On October 1, the illicit drug trade website, Silk Road, was shut down by the FBI; its administrator, a man named Ross William Ulbricht of San Fransisco, was apprehended and Silk Road’s assets were destroyed. This seemed like a big victory for the American Government in the multiple-decade-spanning War on Drugs. However, as of Wednesday morning the Silk Road is back up, almost as quickly as it was taken offline. 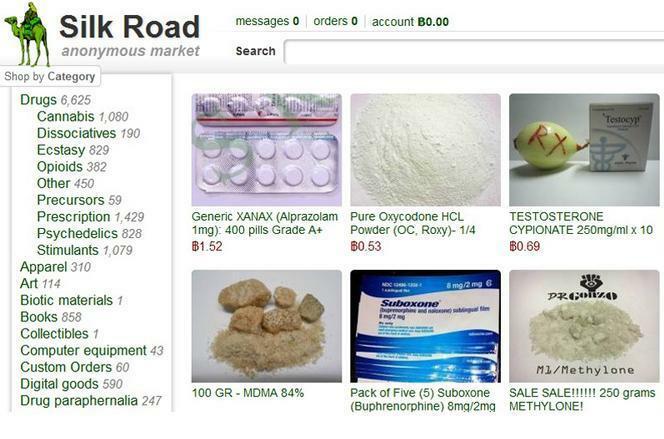 Since Silk Road’s inception in February of 2011, the FBI had been making small strides in taking down the notorious, online drug bazaar, where users can purchase and sell anything from “light drugs” like cannabis to “hard drugs” like pure, Colombian black tar heroin. Unfortunately for the government, though, the obfuscous nature of the site’s operation made it quite difficult for law enforcement agents to pinpoint the source, let alone intercept the deliveries of illicit goods. This is why Silk Road was so quick to be back on the Net. While Bitcoin is a fairly new type of currency (it was “officially” created as of 2009), it has proved quite invaluable for those who wish to “inhale the good sh*t and exhale the bullsh*t,” as it were; the FBI reported that a total of 9.5 million BTC was transacted on Silk Road alone. At $140 per Bitcoin (recently boosted to $250), that could buy you a respectable amount of PCP. I would know. (No I would not). So how does one access the Darknet and start spending those Bitcoins? Users log on to Silk Road using a special program called Tor, which allows you to navigate through a variety of servers in order to get to the servers you want. By traveling through back routes, your anonymity is preserved, and thus, you are extremely hard to be tracked down. This is why Darknet is so appealing to those who are in the business of peddling illegal materials. Once you have the Tor Browser booted up, picking out a Hanukkah gift for your favorite meth addict is as simple as entering the URL for Silk Road. One can understand why the FBI would be so concerned. Never before has it been easier (not to mention, safer) for criminals to sell and purchase drugs, and with Silk road up and running again in a matter of weeks, it begs the question as to whether or not the Federal government is within its capacity to carry out this War on Drugs. Ultimately, one must take into consideration the toll that this will take on the common American citizen. After all, these are not easy times for advocates of online anonymity, as bills like SOPA and PIPA garner support from both sides of Capitol Hill. As college students, we know how easy it is to stay anonymous on this giant, University-run server. How many packages of MDMA or DMT do you think are being carried into our dorms? Whatever the case may be, the revival of the at-home drug trade brings big problems to the authority figures mandating illegal substances in this country, and until the day these drugs become legal, Silk Road will continue to do its duty. November 6, 2013 in Blogs, Columns. Thank you for any other fantastic article. The place else may just anyone get that type of information in such an ideal approach of writing?